Without money there is no research. Without research there is no cure. So what happens to your money? 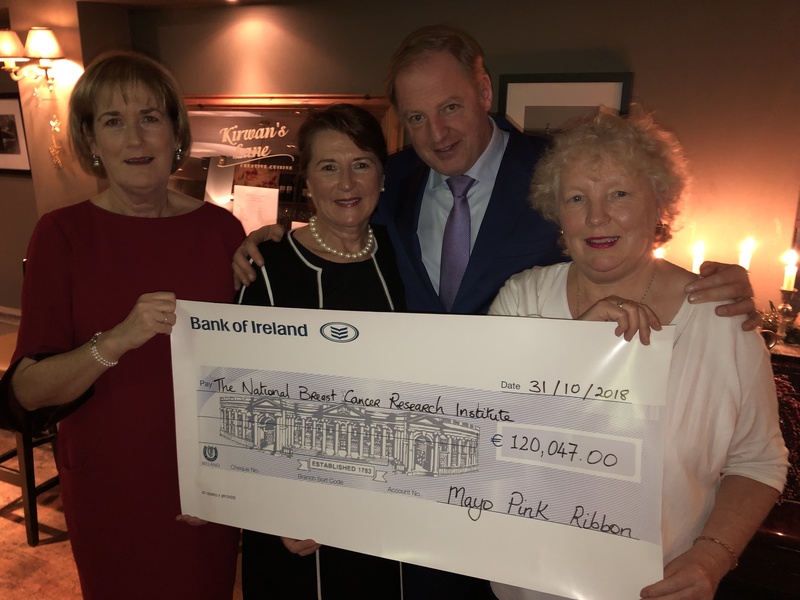 When you take part in a Mayo Pink Ribbon event or sponsor someone else you are adding your support to a cause that is close to the hearts of so many. In order to make any real progress in the fight against Breast Cancer we need research. Research however cannot happen without money. 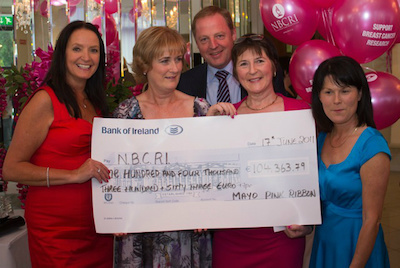 Because we are a voluntary group, running our events on the tightest of budgets and with lots of community support, we are able to ensure that almost all the money that we raise each year goes directly to breast cancer research. 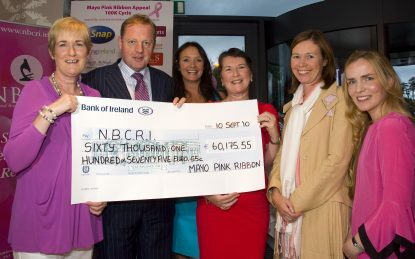 The research organisation that we support is called The National Breast Cancer Research Institute and it is based in the Lamb Institute at NUI Galway. 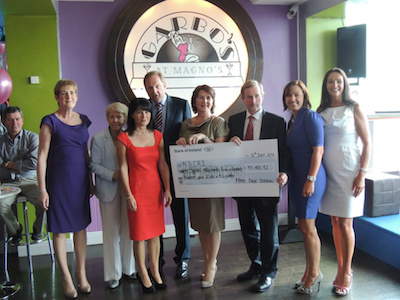 We feel passionately that by working together we can make a real difference in the fight against breast cancer. The team at Breast Cancer Research collaborates with universities and hospitals across the globe so its discoveries are not only creating impact in Ireland, but throughout the world. It is now recognized that breast cancer is not a single disease but is in fact a collection of at least 8 different subtypes. The discovery of breast cancer related microRNAs in the blood of patients with breast cancer represents a significant breakthrough for the team and will significantly improve diagnostics in the future. The BRCA1 and BRCA2 genes are well known to increase the risk of developing of breast cancer in a woman’s lifetime but over the past decade Breast Cancer Research has helped identify multiple others genes which contribute to this risk. The research team’s cancer genetics programme is addressing the role family characteristics have in the development of cancer. The team is also determining how well patients will respond to drugs used in chemotherapy and hormonal therapy. The individualization of cancer treatment and the development of new techniques using stem cell technology which allows tumors to be targeted and destroyed means that chemotherapy is now unnecessary in very many cases. Many patients undergo breast reconstruction after mastectomy. In the area of breast regeneration, the research team is working to determine the feasibility of growing a new breast from a patient’s own cells. In the area of innovative diagnostics and therapeutics, the team is working on a photo acoustic imaging platform that will allow the observation of blood flow going to a tumour during treatment in order to gauge the efficacy of the treatment. 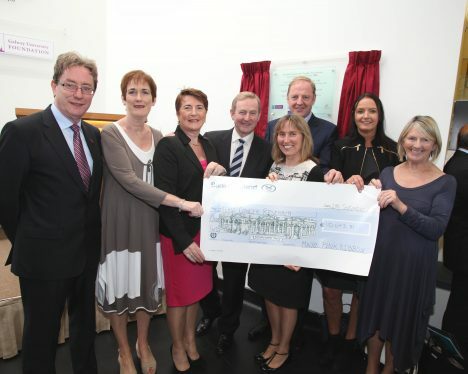 Mayo Pink Ribbon are proud to be associated with this groundbreaking work and are committed to continuing our support for research.